Paris, France is one of the world’s great cities. 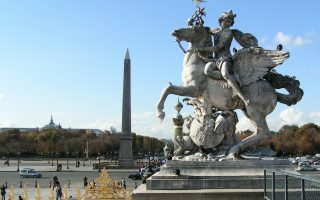 History, architecture, museums, food, culture, beauty, and walkability make Paris one of the world’s most popular travel destinations, with more than 30 million annual tourists and millions more business travelers. Despite this, Paris has had the reputation of not being a great running city, with crowds, pollution, congestion, and relative lack of running culture being cited as the cause. But this has started to change in the past few years, and we’re pleased to report that there are some fantastic running options in Paris. If you are staying in the heart of the city, running along the Seine is a treat, especially since there are now seamless paths, separated from cars, that go on for miles. 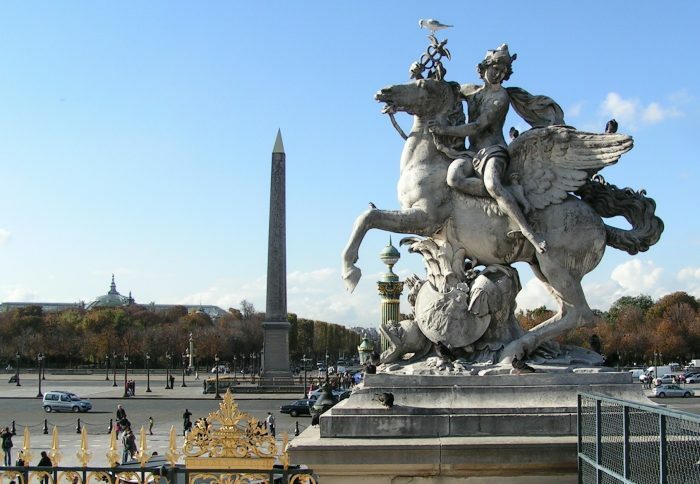 One can also put together a nearly 10-mile “highlights of Paris” tour, which includes The Louvre, Eiffel Tower, Champs Elysées, and the city’s famous parks and gardens all in one run. 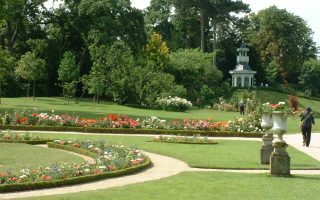 Bois de Boulogne and Bois de Vincennes are two large and wonderful city parks at either edge of the city. And running along the Canal St. Martin’s meandering paths out to Parc de Villette is a treat. 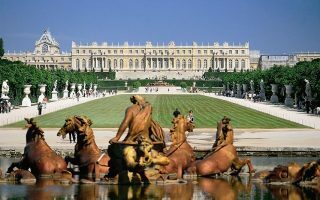 Further afield, running at Versailles will make you feel like a king. 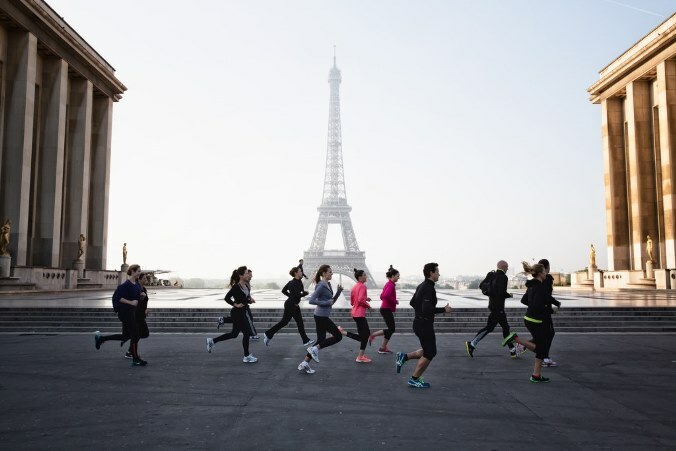 A great resource for running in Paris is Free Paris Running Tours. Luke and his team lead wonderful, free running tours of one of the world’s most beautiful cities. Staying inside the main beltway surrounding Paris will provide access to decent running options (see our “stay” section for recommendations). Good anchor/departure points for our best runs are Notre Dame (“Cité), La Bastille, and La Defense. A few particular recommendations for running in Paris: if you want to see some of the ‘tourist’ highlights, try to go early to avoid the crowds; take advantage of the fabulous public transportation and bike sharing system, which puts you within a 10–20 minute subway ride from some of the best runs, or allows you to do a longer ‘one way’ run; and pay attention to closing times for some of the parks. Also when we say “12e” that means “12th arrondissement”. One of the great urban runs of the world. Several sections have been turned into below-road pedestrian-only paths, with great views of Paris’ wonderful buildings and landmarks. 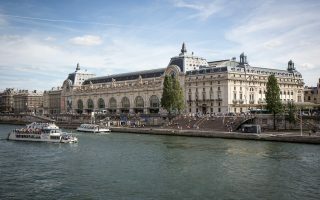 This route has all the best of the heart of Paris, combining parts of the Seine paths with some of the city’s most famous landmarks and beautiful places. 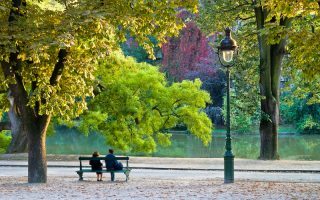 The heart of Paris is graced by wonderful and historic parks. All have dedicated pedestrian paths wide enough for running. There are many options to combine parks with Seine paths and other sites. 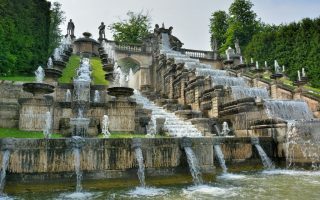 Bastille, Luxembourgg, Tuileries, Invalides, Jardin des Plantes & more! This is the loveliest, shadiest place for running in the heart of Paris. You’ll find hundreds of fellow joggers on a nice evening. There are some 35 miles of trails in the park. 16e. The largest park in Paris, with beautiful paths for running. 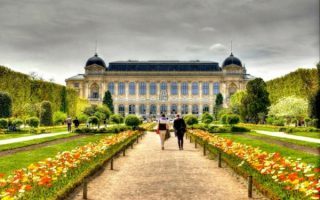 Highlights include the medieval Chateau de Vincennes, an arboretum, floral gardens, and numerous other natural sites. This is a favorite Paris off-road path. Created out of an abandoned metro line, "PlantPé "is an elevated, paved linear park that runs 2.4 miles from Bastille in the Eleventh arrondissement to Porte de Montempoivre. A great park to do some hills. Unveiled at the 1867 World’s Fair, this park is sometimes referred to as the ‘Central Park’ of Paris. About 5km of trails, with the hilliest in the interior. Another wonderful linear park option from the heart of Paris. 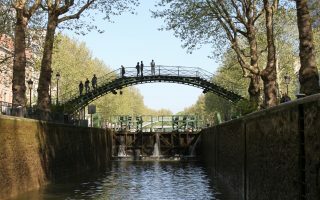 It follows the Canal St. Martin, meandering from near the Bastille to Parc de Villette. Lovely chestnut trees shading some sections. La Défense is Paris’ version of London’s Canary Wharf/Docklands. Long, wide plazas and pathways with trees, monuments, and places to shop and eat. It’s a 5k straight shot from ‘Arc to Arche’. 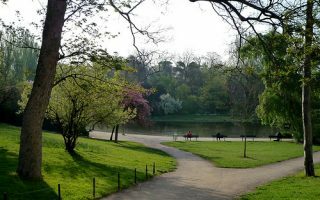 A wonderful running option south of the 15th arrondissement, and not far from Bois de Boulogne. 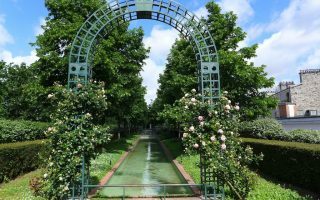 Some of the most beautiful gardens in Europe, with wonderful allées and paths for running. Paris is generally quite flat. There are hills in some of the park runs. 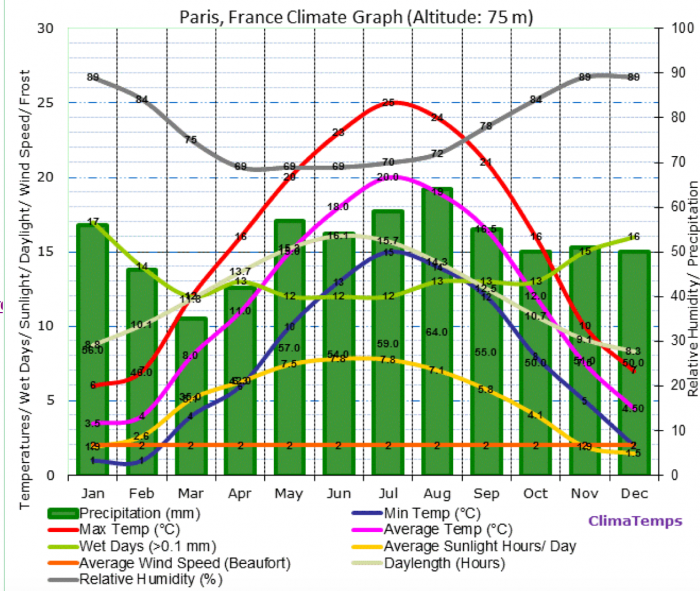 As for weather, in Paris it is fairly continental. Winters can be chilly and damp, with occasional but rarely significant snow. Summers are generally lovely, with long days, and rarely overly hot, but quite humid. Paris has a great variety of hotels. And even though the metropolitan area is large, anywhere inside the inner beltway (Blvd. Peripherique) will put you within a 1–2 miles of a good running option. It’s 7–8 miles east-west or north-south within the beltway. 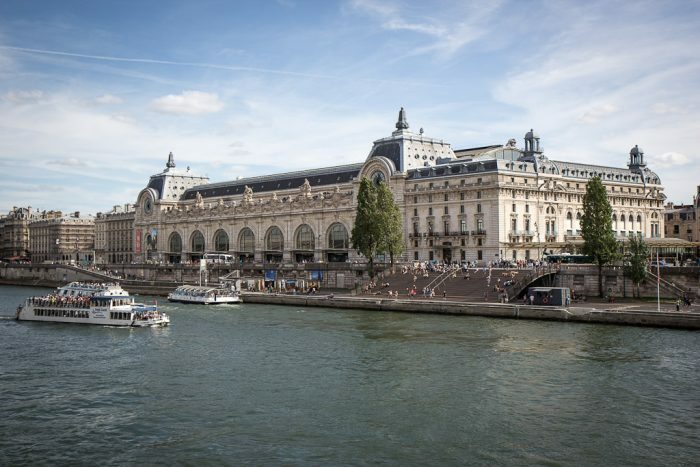 That said, easy access to the Seine and the major tourist sites, is in the 1st-7th Arrondissements. Arrs. 13–15, and 20 might have more budget friendly accommodation options but are a bit further from some of our best routes. But even if you end up some distance from an “ideal” running location, try to stay near a metro stop, as that will put you within 15–20 minutes of somewhere great for running. 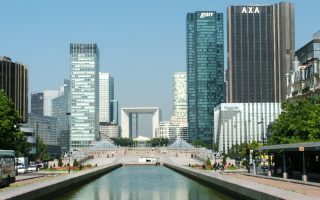 If traveling to Paris for business, it’s fine to stay in La Defense/Convention Center area. There’s good running there, and it’s not far from the Arc de Triomphe, and the Bois de Boulogne. Passion Running. Locations near La Bastille, Bois de Boulogne, and the outer 15th Arr. Planet Jogging. Great location between convention center and Etoile. Endurance Shop. Nearly 100 locations in France. In Paris, they have a store at Montparnasse, and at Versailles. KM42. Near Parc Monceau. Having to do with the Paris Marathon. Boutique Marathon. Near Parc Monceau and also Bercy. There are also Nike, Adidas, and New Balance stores within the heart of Paris. Les Moustiques. Welcomes runners of all levels to train in a relaxed and friendly atmosphere. The club meets Mondays, Wednesdays and Fridays from 6:30 p.m. to 8:30 p.m. at the Paul Valéry stadium in the 12th arrondissement. Paris Athlétic. Open to anyone who is get in shape or stay in shape by running. The club participates in both endurance and speed training every Monday and Friday at Paul Valéry stadium, from 6 p.m. to 8 p.m.
Jogg.in. Cool new site and app for sharing runs and finding groups. Paris and France race calendar. Paris Marathon. First Sunday in April. One of the majors. 40,000 runners from more than 100 countries. It is one of the world’s most popular races — right up there with New York, Chicago, Boston, London and Berlin. Starts and finishes at the Arc de Triomphe and includes views of landmarks like Notre Dame and the Eiffel Tower. 20 Kilomètres de Paris. October. Great race, 20,000+ runners. Paris to Versailles 10k. September. Wonderful 10k race from Paris to Versailles. 20,000+ runners. Also can be done as a walk. Very popular.